Farmville 2: Country Escape is a FREE (and commercial-free) mobile freemium farming simulator in the well-established Farmville series. Long time fans and gamers of the Farmville games on Facebook will instantly appreciate this Zen-like entry in the series for iOS and Android - but if you are new to the series of farm adventure simulators then you are in for a treat! 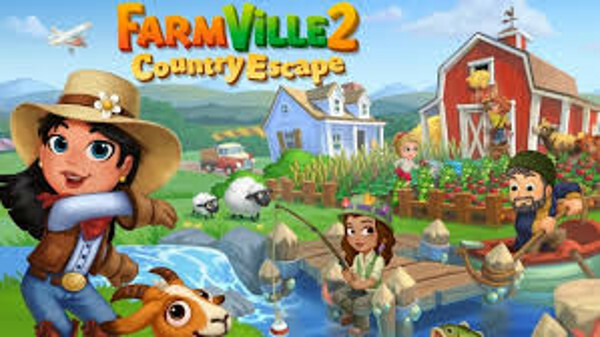 Before we get too far into the intro we need to address the gorilla in the room - and that is the fact that Farmville 2: Country Escape is nothing at all like the games in the main Farmville series on Facebook. That is a good thing actually, not a bad thing - and one of the reasons for that is the fact that most mobile gamers find the traditional game (and the version available for iOS) to be far too complicated to be enjoyable largely because the intensive game play style for the Web does not translate very well to touch-based mobile gaming. That is very true, but thankfully that caveat does not apply to this game, which is not only unique in its game play approach and mechanics, but unlike the traditional games from the series, Country Escape was created for touch-based mobile gaming! 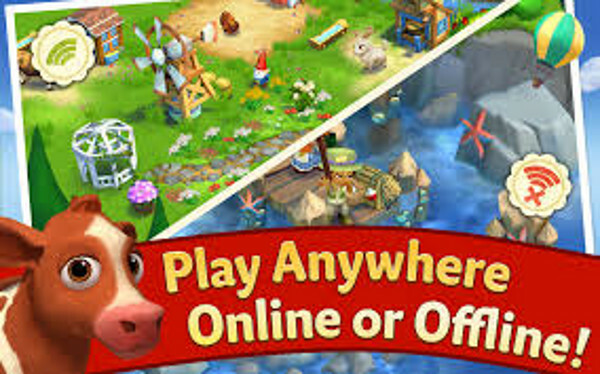 In Country Escape what we are presented with is a game that, while it has all of the basic elements of the main series (goal-based and quest-based XP progress, farming simulation, farm animals, crafting, and adventure quests) it attains them without the overly complex system that was devised for the main game. What that means is that game play in Country Escape has a very relaxed and easy to master feel - though to be sure it is not so simple that it lacks challenge. The player begins by repairing their small farm in the country, and then as play progresses, improving that farm bit-by-bit. These improvements take the form of dedicated crop squares that grow a specific crop rather than the generic crop squares that require different seeds. Animals produce specific and predictable resources, and as the player levels up and adds special structures like the dairy, windmill, and pastry oven, they can begin fulfilling the quests from the quests and challenge system by creating specific crops and crafted items. Everything in the game that the player creates is a potential source of XP and money, which means progress. 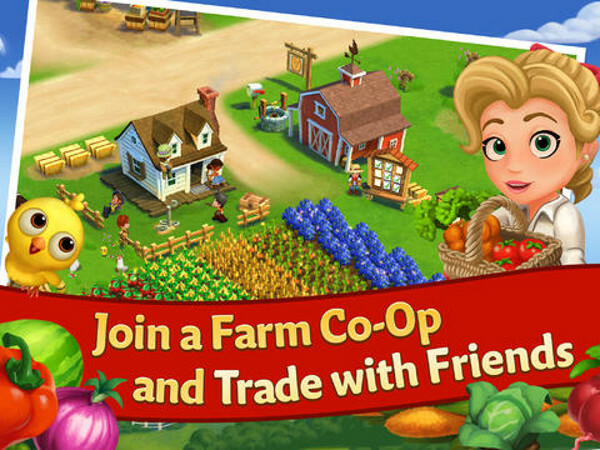 Not only can they sell it via the traditional in-game market, resources can also be sold to neighbors (the game is both multi-player cooperative and social). The player also has the option to send resources to the web-version of the game on their Facebook account! While the game is free to play - it is classified as a freemium title due to the limited assortment of in-game purchases that can be made to speed up play. Bearing in mind that this game eschews the limitations of the main series by not restricting access to water for watering crops, and does not limit the player to x-number of actions, but rather offers nearly unlimited play! What is the catch then? The player will need certain objects - like spades, or nails - that either require long timers to obtain or are randomly obtained through special actions. To offset that, the game includes "Keys" that can be used to remove the timer or substitute for the required resource in order to allow the player to quickly achieve their goals. 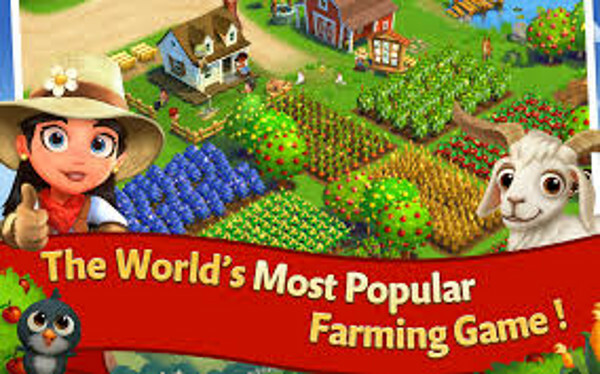 The graphics in the game are a very pleasing salute to the original game (Farmville 2 ) offering a rich and interesting variety of both graphical world and animals, as well as playable characters who function as farm hands. Gifted with an interesting bucolic soundtrack that includes natural background sounds like birds and animals, which is complemented by a catchy instrumental soundtrack of country tunes that offer aural zest, the overall effect is rather pleasing. One of the best features of the game in our opinion is the decision to use a low ringing bell to indicate when an item or goal is completed - that low bell sound replaces the jarring ding sound that a lot of gamers find annoying (us included!). The overall complexity of the game has just the right sort of flavor to make it not only fun to play, but rather addictive. The decision to link game play in this mobile treasure with the main series - specifically to allow the player to transfer resources - is just brilliant. The final major point in favor of this highly mobile farm sim is the decision to make your mates an integral part of play but not a required part. That small consideration makes all the difference in the world, and helped to kick the score for this into the realm of the perfect! Considering that this is a free-to-play / freemium game that falls just short of being a grinder (and that means you can play it without spending a dime if you want to and no worries there) we have no qualms about the perfect score it has received - because this is mobile farm simming fun at its best!